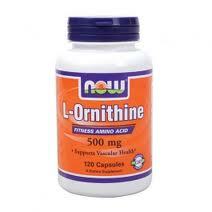 Ornithine is a non-essential amino acid. It is an important constituent of the urea cycle. It is also the precursor of other amino acids such as citrulline, glutamic acid, and proline. It enhances the functioning of the liver and is used to treat hepatic coma. Some researchers maintain that the growth hormone is released when a supplement of 1-2 g of ornithine is taken on a relatively empty stomach at bedtime. They also claim that the immune system is thus stimulated, improving the immunity to bacteria, viruses, and tumours. However, there is still no proven validity of a long-term impact of this claim. Also, schizophrenics are strongly advised against the use of ornithine.